"I am an invisible man. I am a man of substance, of flesh and bone, fiber and liquids - and I might even be said to possess a mind. I am invisible, understand, simply because people refuse to see me." 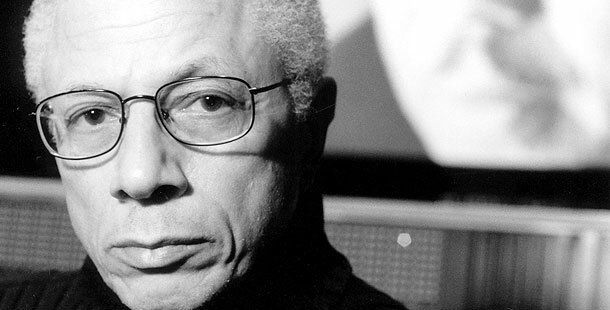 AMERICAN MASTERS Online presents an extended self-interview with “Ralph Ellison” filmmaker Avon Kirkland. Avon Kirland: Do I really have to do this interview? Q: Yes, you do. Your contractual agreement with AMERICAN MASTERS requires it. AK: All right. Let’s get it over with. Q: I have heard you asked several times why you chose Ralph Ellison as the subject for a major documentary. You’ve given several answers, sometimes stumbling as though you weren’t quite sure of the answer. Can you tell us now? Why did you do it? AK: Why did I do it?! You make it sound like a crime. I hope you think more of the show than that! AK: I was able to raise the necessary funding. AK: No. It’s too painful. Remember that we’re talking public television production. Q: Was fundraising the most difficult challenge you faced in making the documentary? AK: No. It was the second most difficult challenge that I faced. The most difficult challenge was to make the program that I had in mind without spending more than I had raised. That is, to not go over budget. Q: And did you succeed? AK: No. That too was very painful. Q: Okay. Let’s move on. Tell me, in the course of your research, what did you learn about Ellison that surprised you the most? AK: That he was no mere storyteller; he was also a first-class intellectual. INVISIBLE MAN stands out as an extraordinary work of fiction and it is all that most people have read by Ellison. But his essays in SHADOW AND ACT AND GOING TO THE TERRITORY are equally impressive in my opinion. He was a true man of letters whose reflections on race, literature, American and African-American identity were visionary, enlightening, and most of all, enduring. AK: One of his favorite topics was the contribution of African Americans to American culture. He was among the first to point out that much that is distinctive and vibrant in American culture grew (and still grows) out of the African American experience. That but for the original contributions by black Americans of the blues, jazz, various social dances, gospel music, language, and more, American culture might well be more like, say, Canada’s than our own. Q: You have something against Canada? Q: (interrupting) Never mind…You and your staff were the first ever to adapt scenes from INVISIBLE MAN to film and excerpts are included in the documentary. Why wasn’t the entire book ever made into a movie? 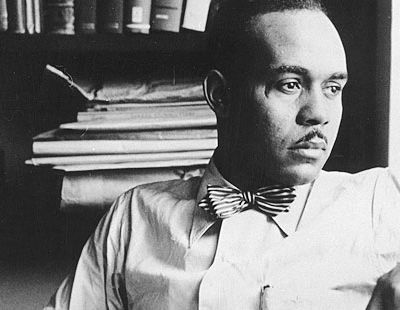 AK: After seeing his friend Richard Wright’s great novel, NATIVE SON, so poorly adapted in an early 1950’s foreign production, Ellison apparently wanted to protect the integrity of his great work. He certainly received dozens of offers for the movie rights to the book. The celebrated director Sidney Lumet (The Pawnbroker, many others) was especially interested in optioning the book as early as the 1960’s, as was media mogul Quincy Jones around 1990. And even the well-known cinema verité documentary filmmaker Frederick Wiseman inquired about the rights in the 1970’s while he was still a practicing attorney in Boston. Q: So how did you get approval to adapt the scenes that are in the documentary? AK: It took two years of rather delicate negotiations. Although she is ninety years old and is not in the best of health, Mrs. Ellison remembers clearly that Mr. Ellison did not permit the book made into a movie, stage play, opera or anything else. And there the matter stood for awhile despite my argument that a documentary on one of America’s most important authors was overdue. I added that we wouldn’t be trying to do the show if Ellison hadn’t written INVISIBLE MAN and that it would be a boring program indeed if we talked about a book that, as it turns out, these days most people haven’t read. We needed to give the viewer at least at a taste of Ellison’s artistry and vision to make the case for his achievement. Q: So that changed her mind? AK: No, it didn’t. I began to make progress only after I remembered that I had tried in the late 1980’s to option the book myself and was told that although an option was available, Mr. Ellison would require script approval. Well, that was the turning point. I reminded Mr. Ellison’s agent, Owen Laster, of our conversation in the 80’s and stated that I would be delighted to give the Estate script approval for the few scenes (and the scenes only, mind you) that we wanted to adapt. Mr. Laster, as well as Ellison’s literary executor, John Callahan, strongly supported the idea and Mrs. Ellison gave her approval. Q: Working within a documentary budget, you made some highly produced (i.e., expensive looking) dramatic scenes from INVISIBLE MAN that actually look like scenes from a big budget movie! AK: Much of the credit for that goes to Elise Robertson who did a terrific job directing those scenes and working with Co-Producer Yanna Kroyt Brandt, Director of Photography Barry Stone, and Production Designer Don Day to achieve outstanding results on a miniscule budget. They deserve a lot of credit for making the scenes look like film even though they were shot on digi-Beta. AK: Videotape! It’s much cheaper. Q: Right…. Do you think that Ralph Ellison, had he lived to see it, would have approved of your rendering of his life in the documentary? AK: I doubt it. He was very careful about what went out to the public as representing his life, ideas, beliefs, and so on. So much so that when interviewed for print publications he would not infrequently ask to edit or polish transcripts of his responses to the questions asked. Q: Well, how do you feel about the program? AK: I’m very proud of our work, its failings notwithstanding. AK: I regard the program as a kind of “Ralph Ellison 101.” It introduces a rich, complex subject that certainly deserves further exploration. Fortunately, viewers can go directly to the source, his works, for further edification. But I also grieve for all of the wonderful commentary that we got from people like John Hope Franklin, Roger Rosenblatt, fiction writer James Alan McPherson, Amiri Baraka and others that we were forced to leave on the cutting room floor because of time constraints. Q: You could make a DVD, a director’s cut or something like that couldn’t you? Q/AK: (simultaneously) that would be too painful! AK: The feeling is mutual, I’m sure. (under his breath) They promised me Roger Ebert or Elvis Mitchell would conduct the interview. For More: An exended interview with Avon Kirkland at Jerry Jazz.